THE DEPARTMENT of Lands and Surveys reported a 46 per cent increase in property sales during November compared with November 2015. During November a total of 651 contracts for the sale of commercial and residential properties and land (building plots and fields) were deposited at Land Registry offices across the island compared with the 446 deposited in November last year. November’s increase follows a 37% increase in October, a 50% increase in September, and a 50% increase in August. Of those 651 contracts, 463 (71%) were deposited by domestic (Cypriot) purchasers, while 29% (188) were deposited by overseas (non-Cypriot) purchasers. With the exception of Famagusta, where sales fell 42%, sales rose in all district compared with November 2015. In percentage terms Limassol led the way with sales up 82%, followed by Famagusta, where dales rose by 74%. Meanwhile, sales in Nicosia and Larnaca rose by 43% and 3% respectively. During the first 11 months of 2016 property sales have risen 34% to reach 5,929 compared with 4,439 during the first 11 months of 2015. Sales have increased in all districts. Sales in Limassol have risen 48% and by 28% in Famagusta, Nicosia and Paphos. Meanwhile, sales in Larnaca have risen by 24%. Property sales to the domestic (Cypriot) market in November rose 50% compared to November 2015, with sales reaching 463 compared with 308 in the same month last year. While domestic sales in Famagusta and Larnaca fell by 63% and 9% respectively compared to November last year, they rose in the remaining three districts. Sales in Limassol rose 139%, sales in Paphos were up 56% and sales in Nicosia rose 46%. Domestic sales during the first eleven months of 2016 are up 39% compared with the first eleven months of 2015 with sales reaching 4,470 compared with 3,225 during the corresponding period last year. Sales have risen in all districts. Sales in Limassol have risen by 50%, while sales in Paphos have risen by 40%. Sales in Larnaca have risen 30% while sales in both Nicosia and Famagusta are up 29%. 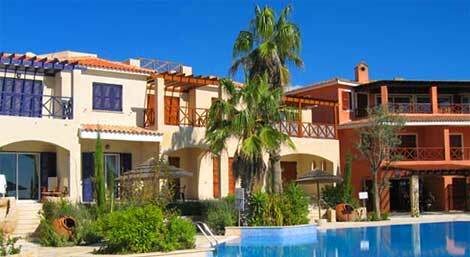 Property sales to the overseas (non-Cypriot) market during November rose 31% compared with November 2015 with 188 properties sold compared with 138 in the same month last year. With the exception of Famagusta, where sales fell 42% compared with November last year, they rose in all other districts. Sales in Limassol rose 82%, while those in Paphos, Nicosia and Larnaca rose by 74%, 43% and 3% respectively compared with November 2015. During the first eleven months of 2016 sales to the overseas (non-Cypriot) market are up 20% compared with the first eleven months of 2015 with sales reaching 1,459 compared with 1,214 during the corresponding period last year. So this is consistent with the number of NPLs… Problem is that those properties are still on the market, and banks (for what I’ve seen till now) are not ready (or willing) to sell them at realistic prices (let alone give away prices. Strange paradox…How can the domestic sales increase so much in a country where more than 50% of people can’t repay their real estate loan…? ?